Donna Karan launches a new collection of limited edition fragrances DKNY Be Delicious Hearts The World, which consists of four fragrances inspired by and devoted to the following major cities: New York, London, Paris and Rio de Janeiro. 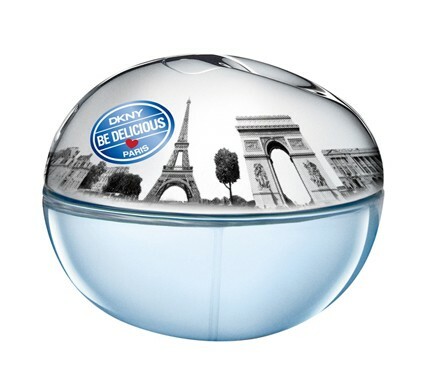 DKNY Be Delicious Paris evokes the style of the city and its sophisticated, chic residents. Top notes: Gala apple. Heart: jasmine and violet. Base: patchouli and vanilla. It is recommended for daytime wear.